Make a beautiful proposal, fast. No design or coding needed. 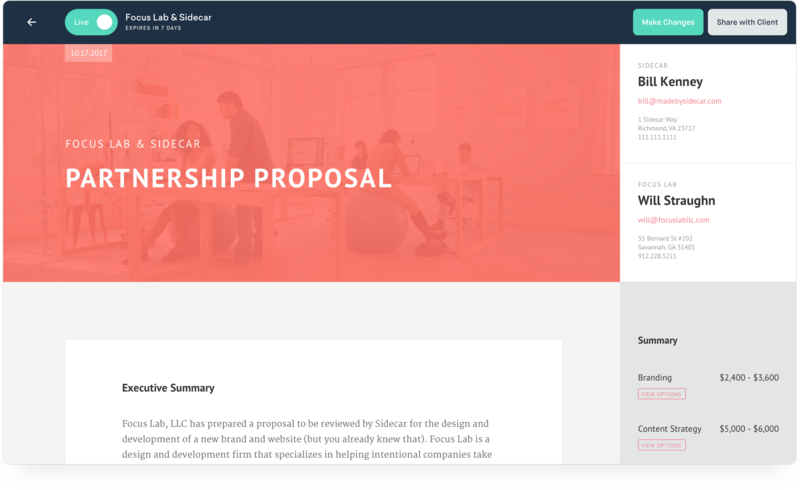 Once you submit, your lead receives a custom URL to access their proposal. You’re done! Now draft your next proposal using the content you just saved. 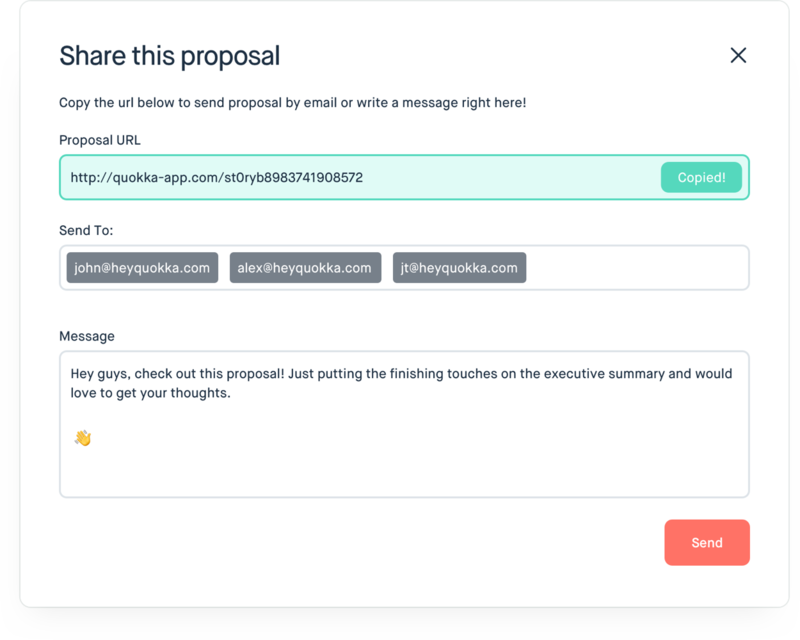 Polish your proposal swiftly with in-line editing. Your view matches what your lead sees. Quokka and your clients proposals are formatted for web, tablet, and mobile viewing. 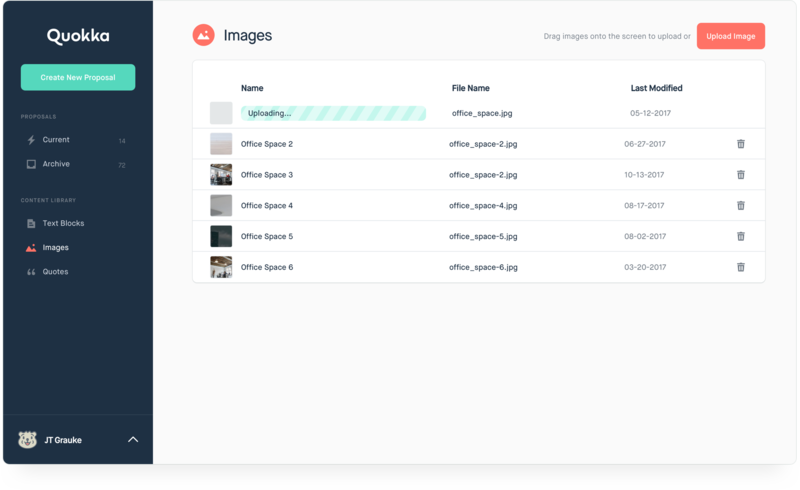 Fast-track content creation with pre-loaded client quotes and images. Or, repurpose past proposals. Teamwork makes the dream work. 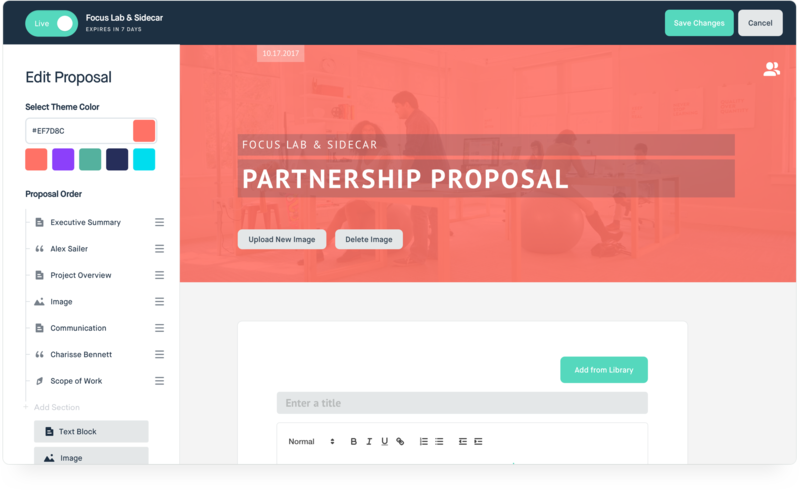 Collaborate, share, and review proposals with your team. 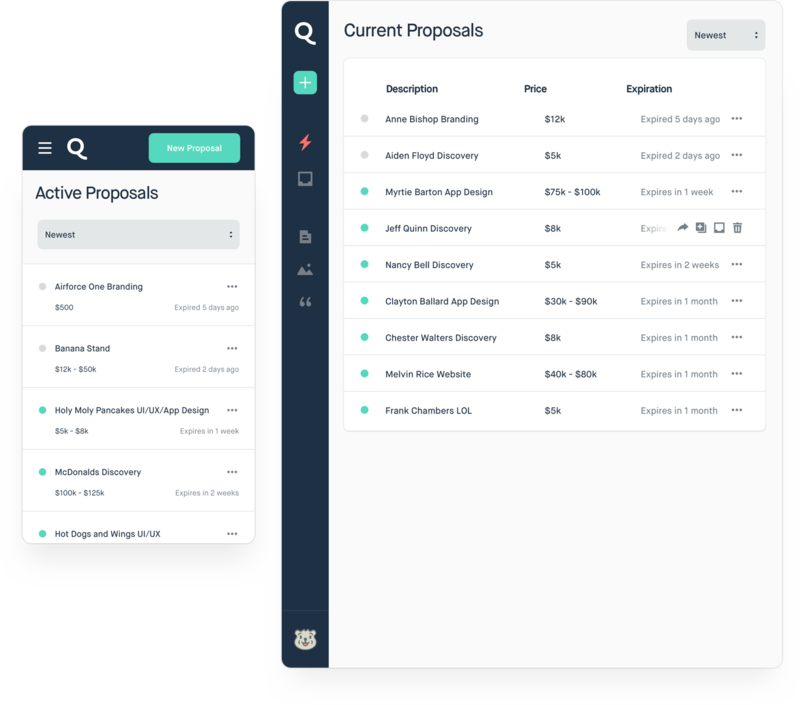 Having used this, I can say that it’s the best damned proposal process I’ve been through.